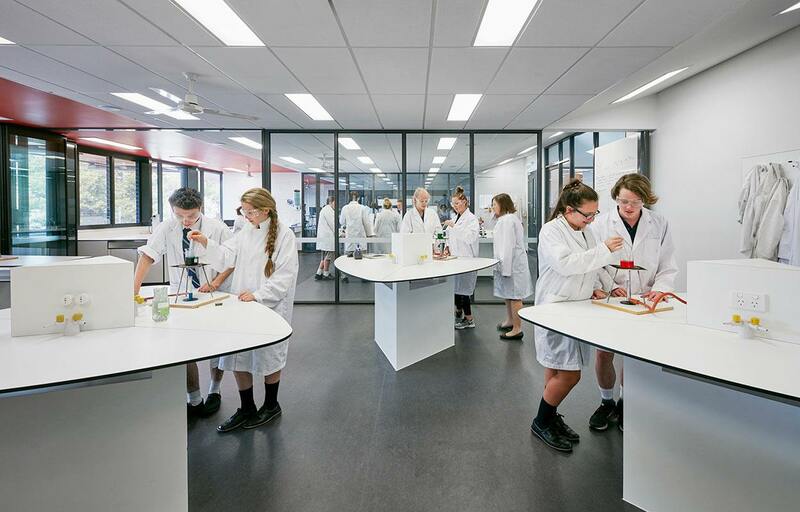 Informed by the latest in educational research the modernisation of the school is shaping an environment that places the student at the centre of learning, supported and facilitated by teachers. 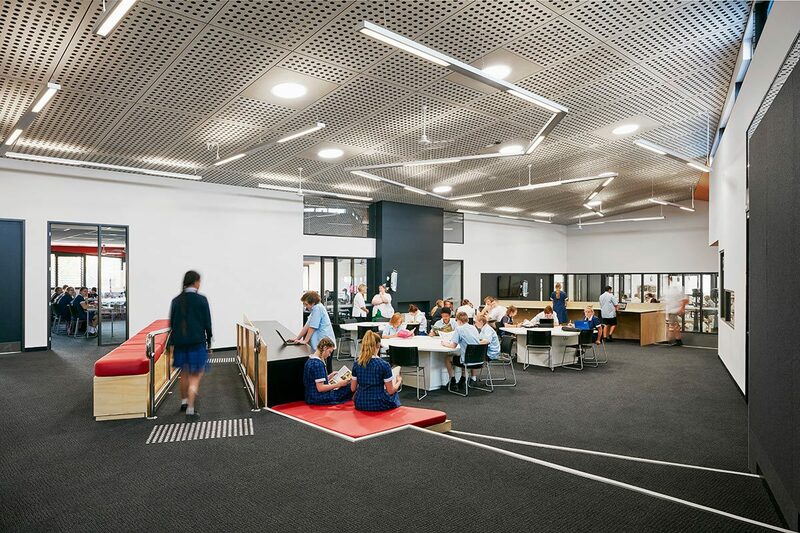 Through a re-visioning of the school’s masterplan, an opportunity to create integrated specialist hubs emerged – the first of which has delivered a cohesive, cross disciplinary facility for Design, Arts, Technology and Science (DATS). 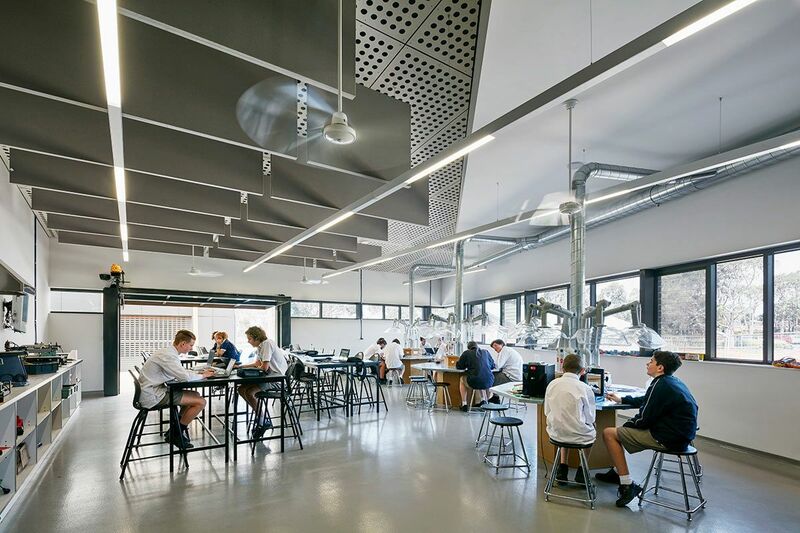 Responding to the school’s desire for every square metre to provide an opportunity for learning, the design maximises the use of specialist facilities including laboratories, studios and workshops by providing spaces for theory, collaborative group work and discussion adjacent to these environments. 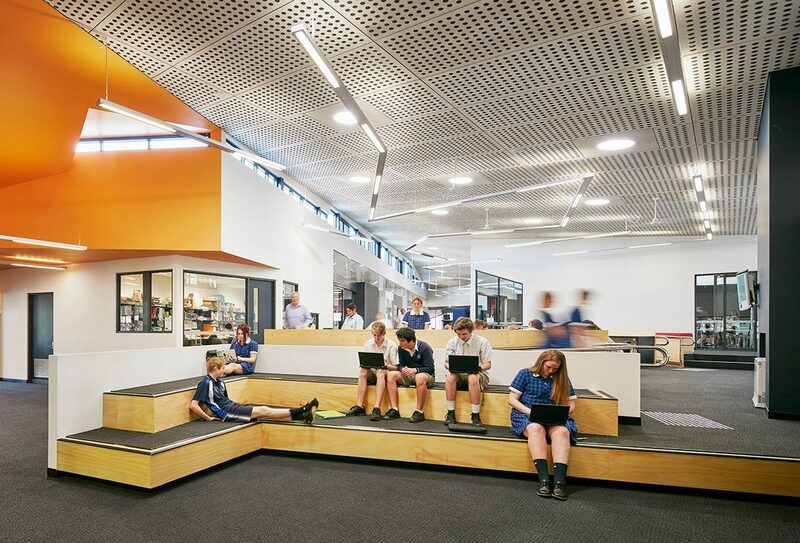 All spaces interconnect physically and visually and are designed to promote and support the ‘flow of learning’, including to the external environment. 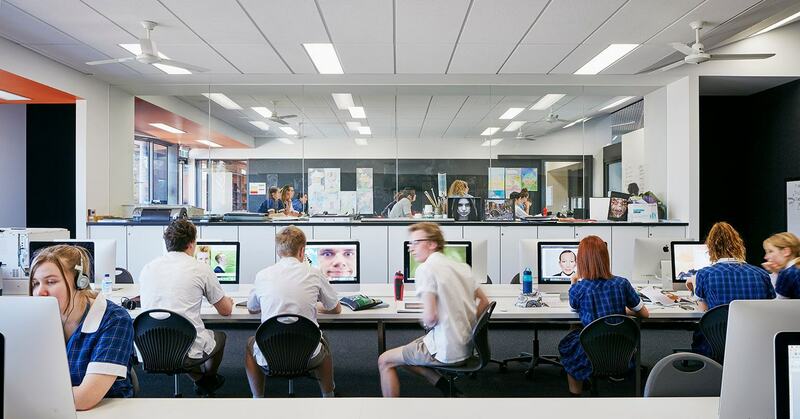 This approach introduces greater flexibility in the use of available teaching and learning areas. 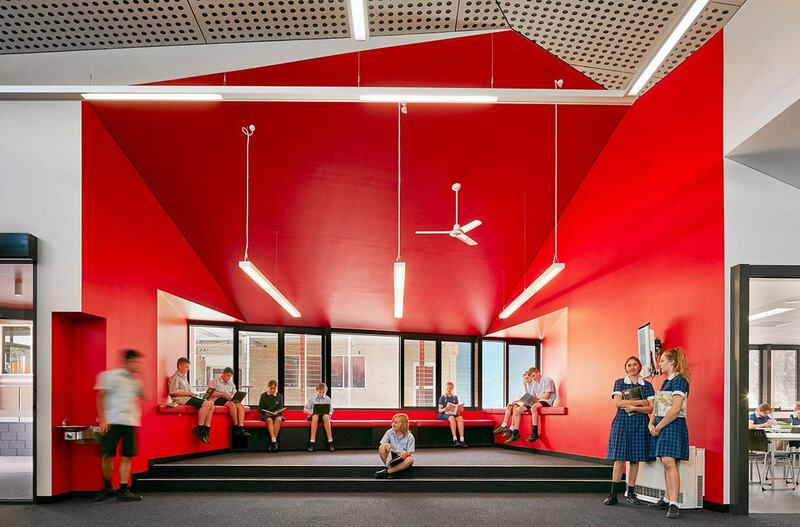 Technology underpins the learning in all areas and an augmented sound system ensures the school’s deaf and hard of hearing students are well supported.